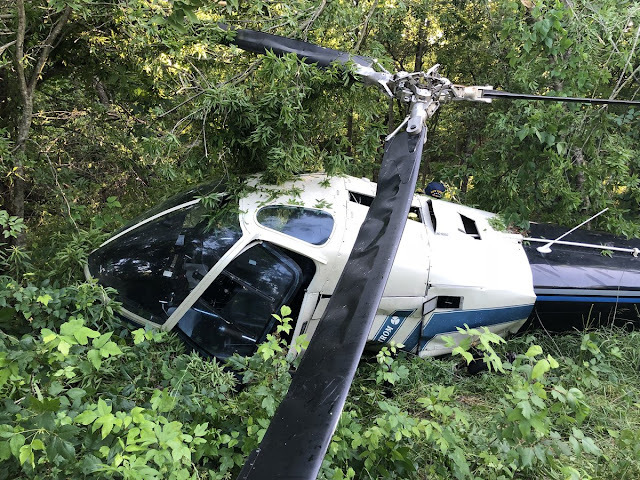 On May 10, 2018, about 1745 central daylight time, an Enstrom Helicopter Corporation 280C helicopter, N67RE, impacted trees and terrain following an autorotation after experiencing a loss of engine power while maneuvering near Kerens, Texas. 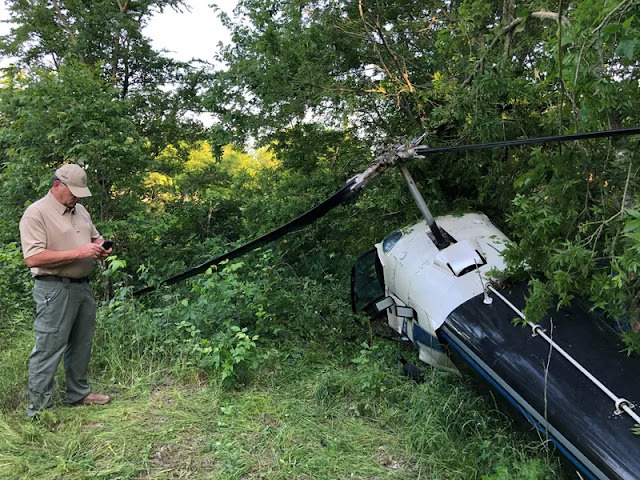 The private pilot sustained serious injuries, and the helicopter sustained substantial damage. The helicopter was registered to and operated by a private individual as a Title 14 Code of Federal Regulations Part 91 personal flight. Visual meteorological conditions prevailed at the time of the accident, and a flight plan was not filed. The helicopter departed the Wood County Airport (JDD), Mineola, Texas, about 1615, and was destined for a private residence. According to the pilot, the helicopter underwent some recent major maintenance, and he was picking up the helicopter to return to his residence. Prior to the accident flight, he completed a flight review with a flight instructor in the accident helicopter. During the flight review, the pilot experienced issues with the radio and difficulty with trim control. A mechanic inspected the radio and completed unknown repairs. After the flight review, the pilot added 25 gallons of fuel for a total of about 35 gallons of fuel for the return flight. During the return flight, the pilot noticed the transmission and cylinder temperatures increase on his instrument gauges. The pilot performed an off-airport landing in a field, kept the engine running, and waited for the temperatures to return to normal. After the temperatures returned to normal, the pilot departed. 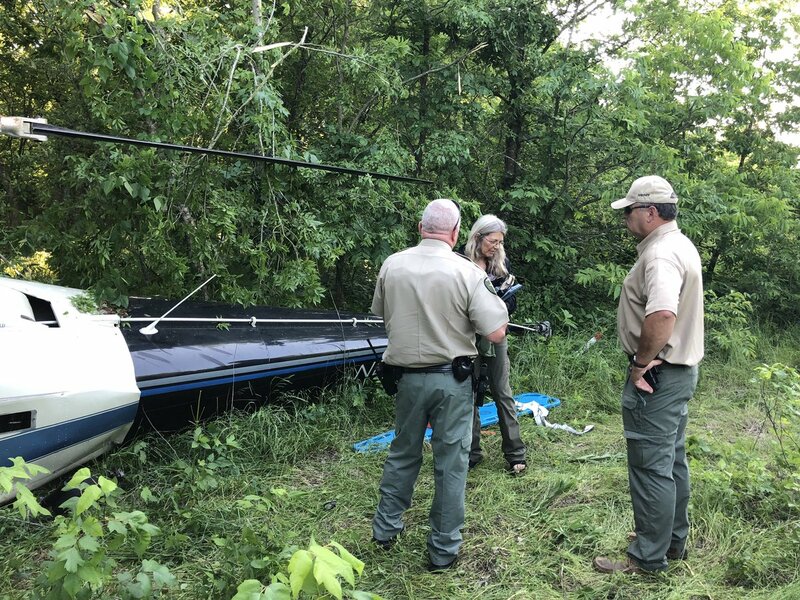 While maneuvering at 1,000 ft above ground level about 1.5 miles from his residence, the pilot heard a noise or bang sound. 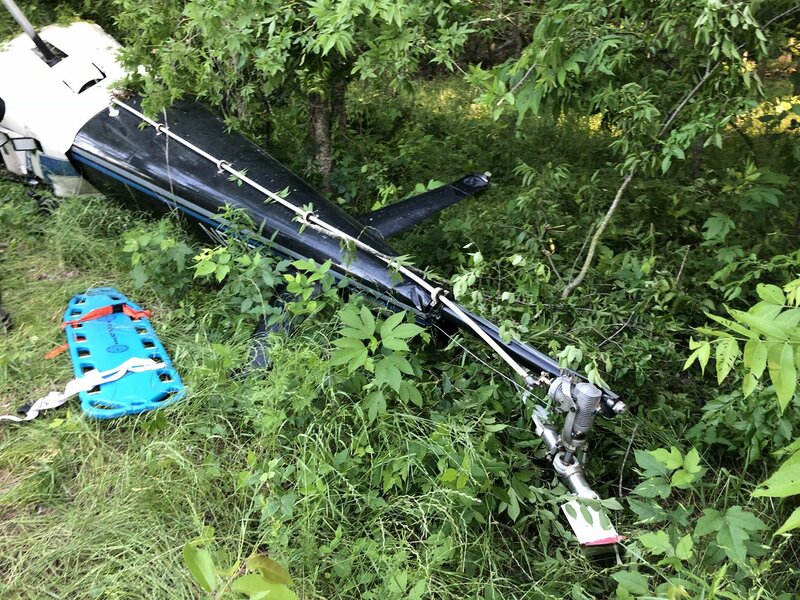 The engine then lost total power, and the pilot entered an autorotation. 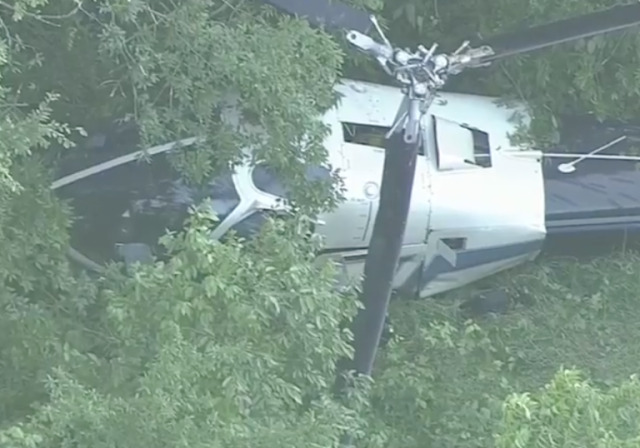 During the autorotation, the helicopter impacted trees and terrain, and came to rest upright in wooded terrain. 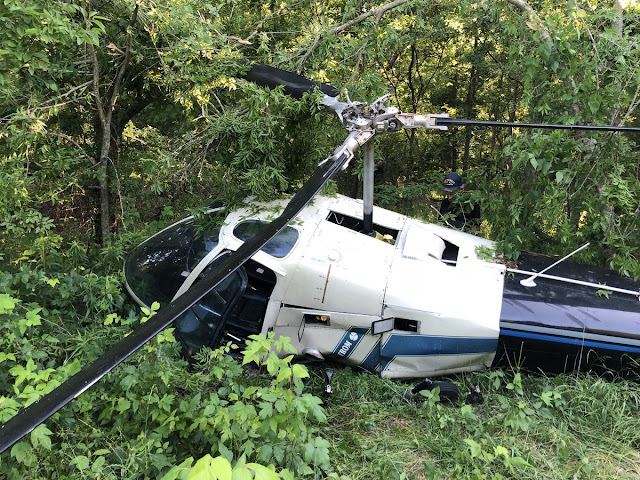 A Federal Aviation Administration inspector completed an examination of the helicopter at the accident site, and at the aircraft recovery facility. The inspector noted the mixture control was found in the rich position. Both left and right fuel tanks were found empty, and the fuel tanks and fuel lines were not compromised. No mechanical failures or malfunctions were noted that would have precluded normal operations. Mineola to Kerns is only about 75 miles apart. What happened to the 35 gallons of fuel in 1.5 hours? or what about reading the fuel gauges? The heli ran out of fuel. Not difficult to understand and it happens often enough. Just like flying in bad weather. Some get luckier than others pressing the envelope. I read of a pilot recently bragging how they got caught up on top during a large regional storm but finally found a hole to get down through and avoid disaster. Another plane didn’t make it in the same storm resulting in a fatality. Obviously, due to their superior piloting skill and knowledge, he is still alive an accident was avoided. The accident chain continues and has no mercy.